The Make It Show is over and done ...and it was fantastic! With the addition of another day, the show was intense. Saturday being the most intense. They broke a record: 1000 customers passed through the gate in 1 hour. A grand total of 8400 in 3.5 days. 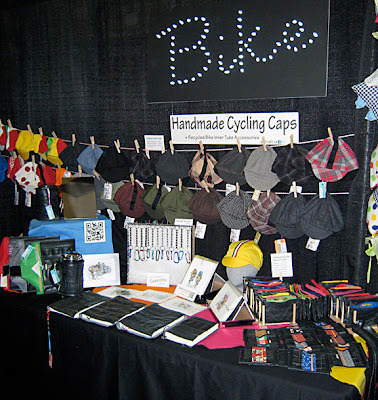 I don't know how I managed it, but I found the time to make a Bike sign that really made our booth stand out. People loved it and kept complimenting us all throughout the show. I used christmas lights. 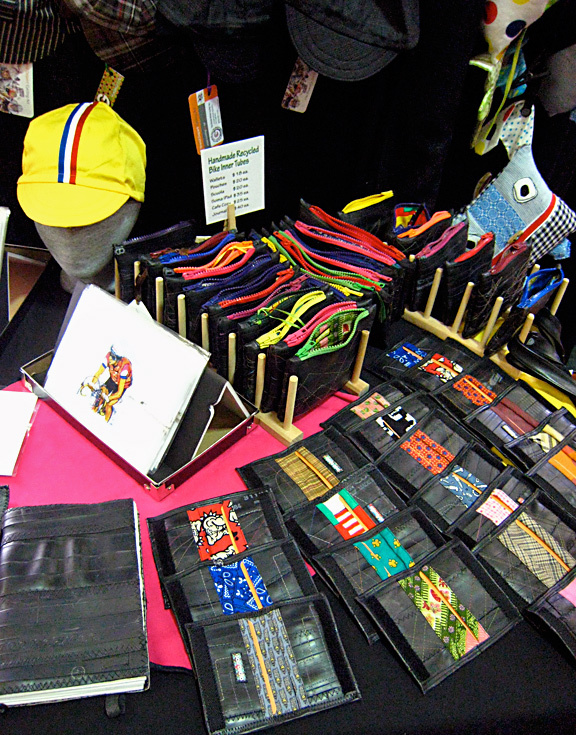 We brought along a huge diverse inventory. 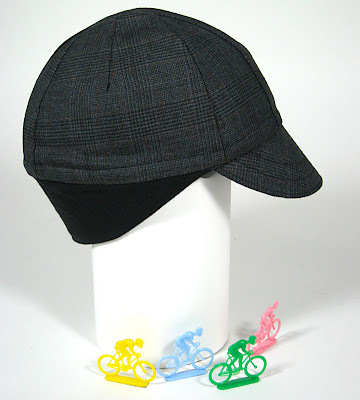 The big star was our wallet, and we introduced our newest 100% winter cycling cap; The Flemish! I redesigned the pattern and modified the ear flap to fit even better. We realize our caps would fit better if we offered two sizes. A great success! We are planning to look at the way we size our caps in order to provide a better choice of sizing. As you probably guess, Richard has many caps and now he has a 100% wool winter cap. After a week without a ride, Richard didn't waste time to jump on his Marinoni. The next morning after the show, he went out to test the new Flemish cap. It was a cold morning close to 0C, perfect conditions to test the Flemish cap. The picture below is Richard back from his cold weather ride. He was tired ...but warm! We've made it to our biggest show of the season... Make It! 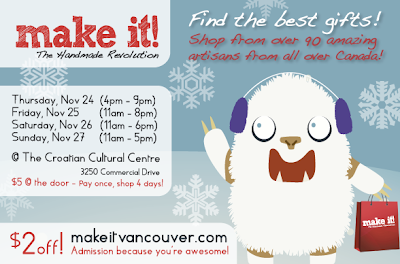 Today starts four days of handmade love at the Croatian Center here in Vancouver. 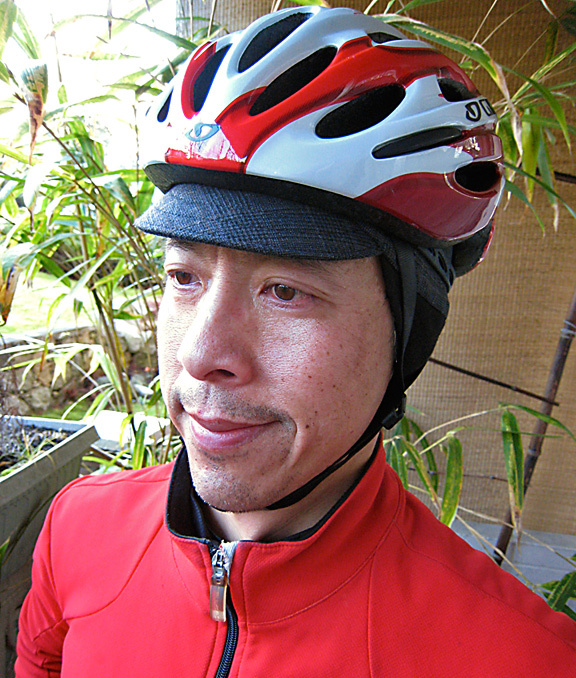 Richard and I are excited to have our Galstudio cycling caps/accessories on sale. I invite you all (if you can make it) to attend and come over and meet us. Our booth is located beside the bar in the main room! You know when you're juggling so many balls and you lose site of everything else? I'm sorry that I've neglected my blog but life got so crazy with work I've turned my attention to my sewing machine instead. 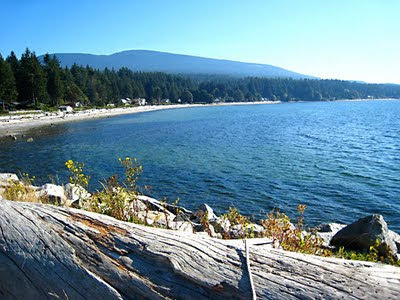 In August, Richard and I decided to spend holiday time in the Sunshine Coast (Gibsons). But, work forced me to bring along my sewing machine to actually... work. Call it a work holiday. At least I did enjoy my evenings with the beautiful scenery and a glass of wine. Richard was able to squeeze in a few rides exploring unknown territory of the Sunshine Coast. To say that we both fell in love with the Sunshine Coast would be an understatement! Galstudio is in growing mode. We just finished a huge wholesale order that left us completely exhausted but happy. It was a grueling tens days of production. 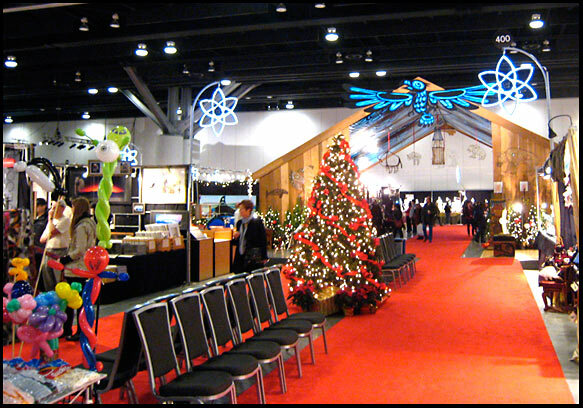 The Christmas craft shows have started. Richard and I went to investigate one of the top three shows in Vancouver, called Circle Craft. They've been around for over 20 years. Our friend Graham was there and he's a mainstay doing this show for the past 15 years. 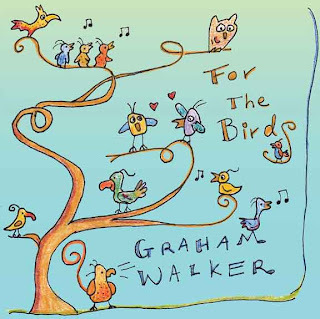 I was excited to help him design his newest children's music CD cover. Circle Craft is top notch with quality merchants but the admission fee of $12.00 is too high and I didn't feel that this show is a good match for our products. On the other hand, we are back at the Make It Show for our second year. We're very excited that they added another day totaling four days. We have a larger booth sharing with our friend Helene... I'm definitely feeling this show and we will have lots of fun. So, I'm back to my sewing machine and need to produce a few more items for the Make It Show. I also started teaching a crochet workshop... I'll keep that for my next post!